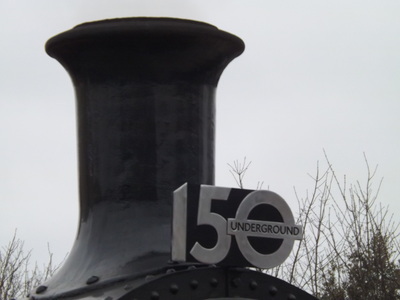 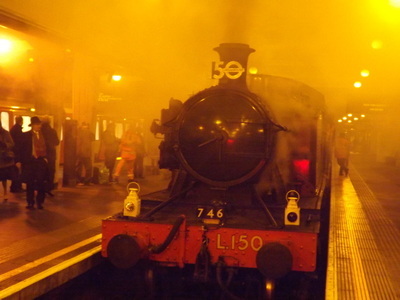 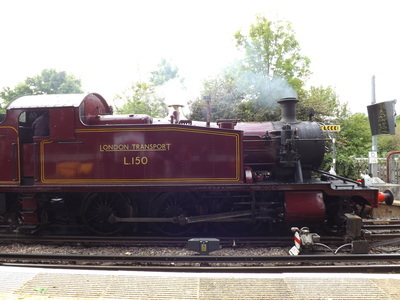 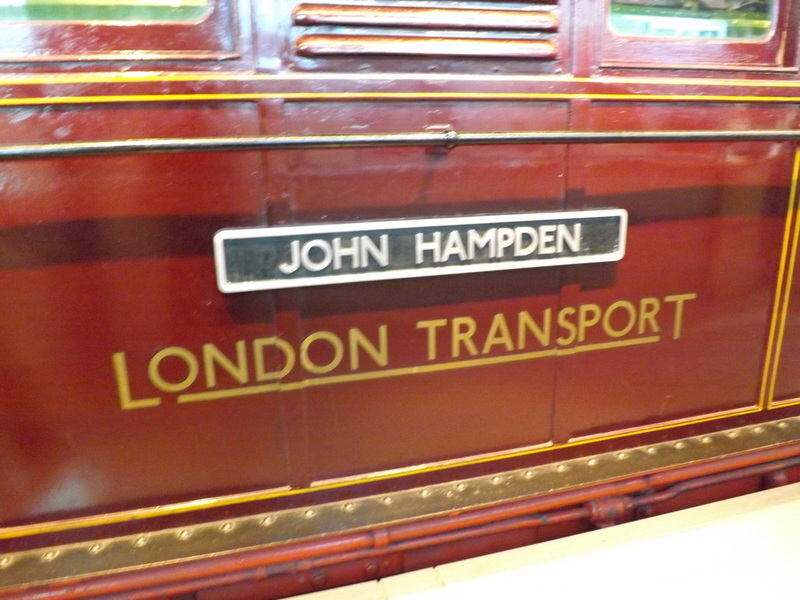 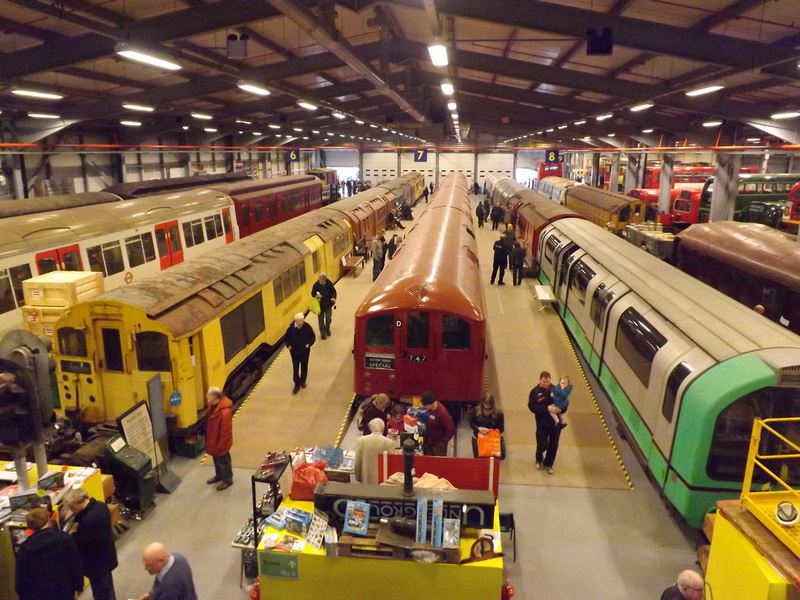 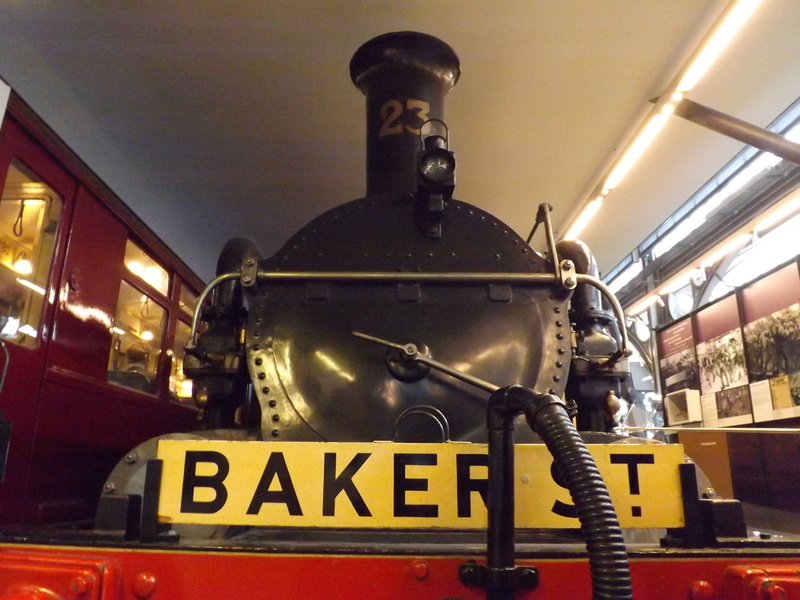 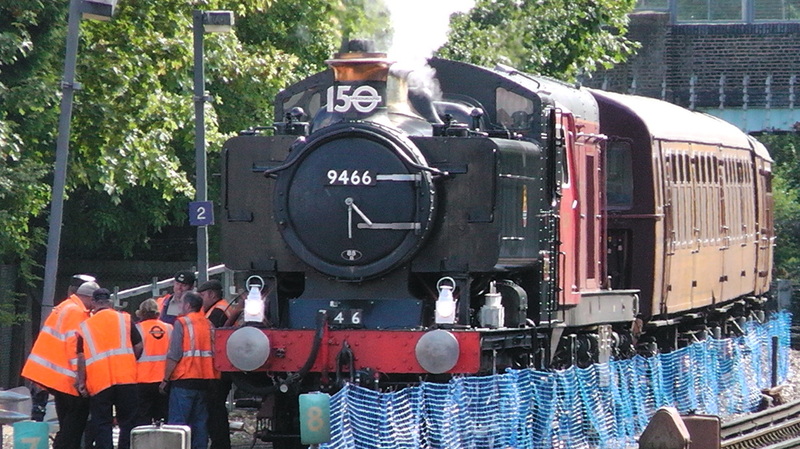 Continue down this page as we look at the highlights of the 150 Years Anniversary celebrations of the Metropolitan Railway, with Steam Returns to the London Underground Tunnels, Acton Depot Open Day, Steam Back on the Met to Amersham and Uxbridge and Met 150 on Tour. In 2014, Met No. 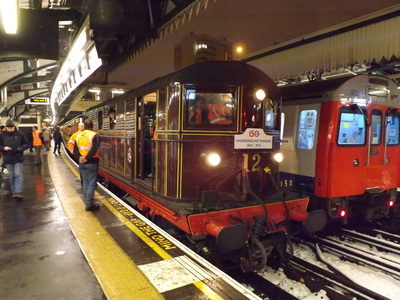 1 returned once more to the Underground, this time hauling shuttles from Moorgate through to Hammersmith, celebrating 150 Years of the line through to Hammersmith. 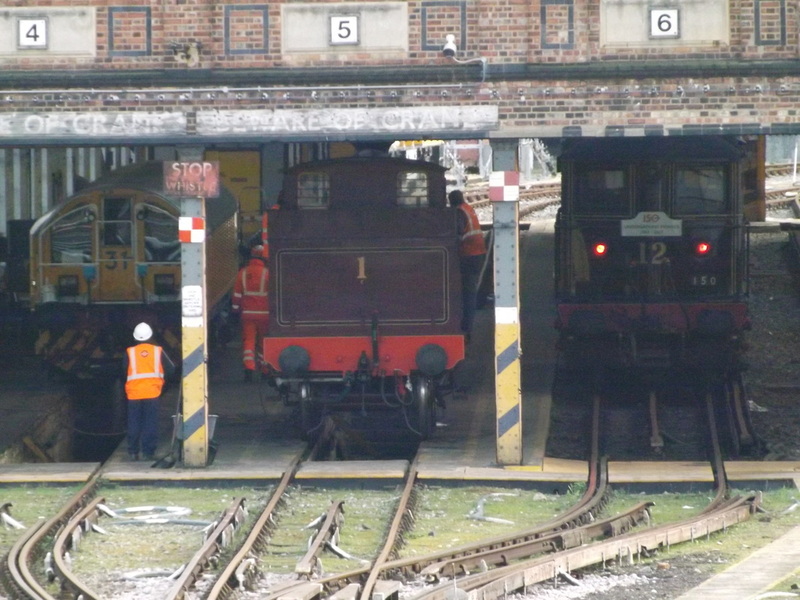 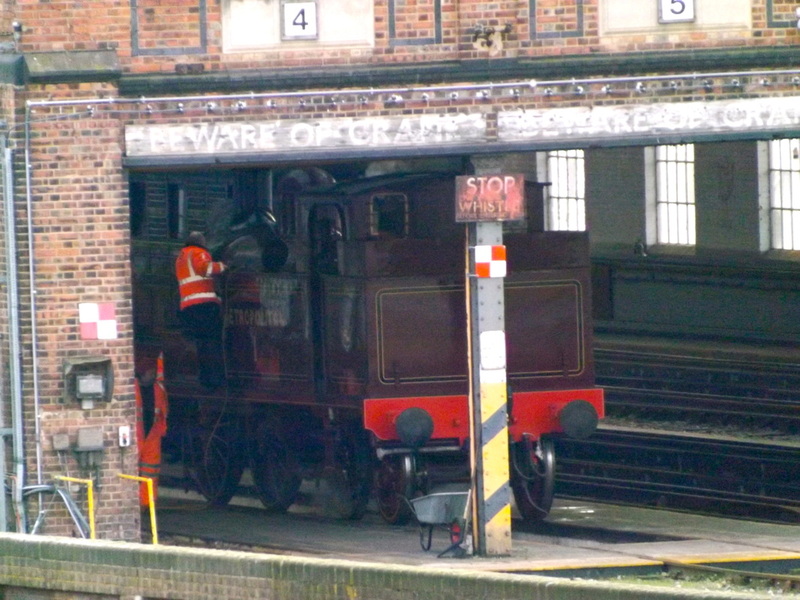 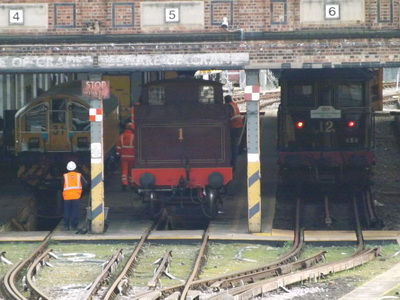 Even if asked only three or four years ago very few would of believed this would of been possible for a steam locomotive and wooden bodied carriages to be allowed through the tunnels, but in fact this was the second year in a row this was allowed to happen. 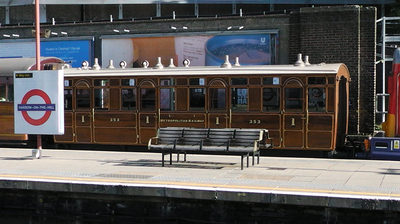 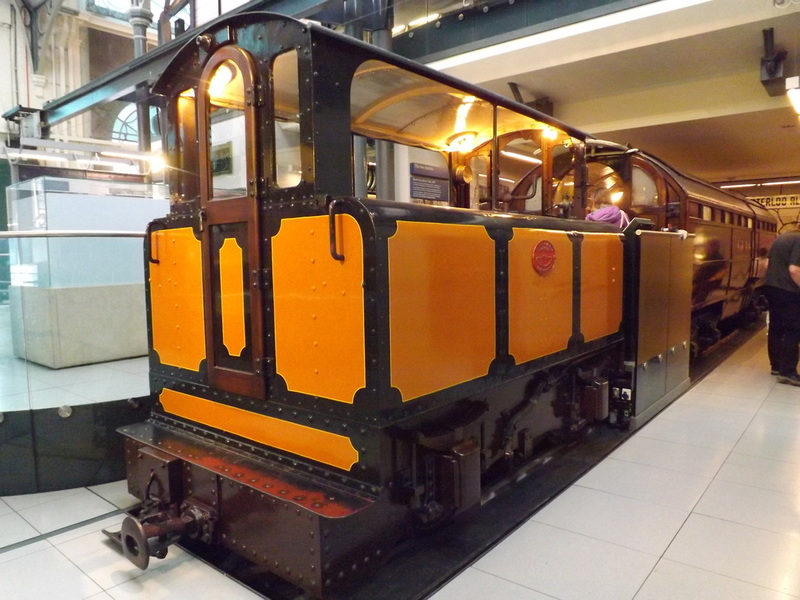 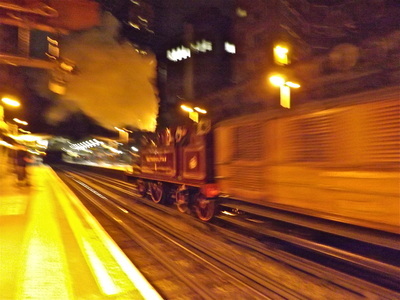 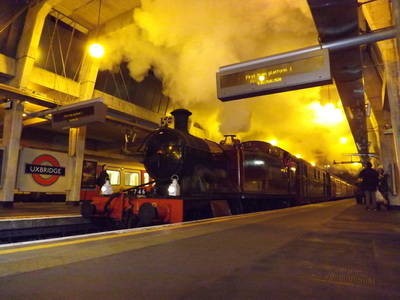 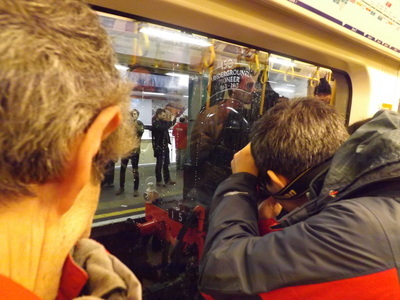 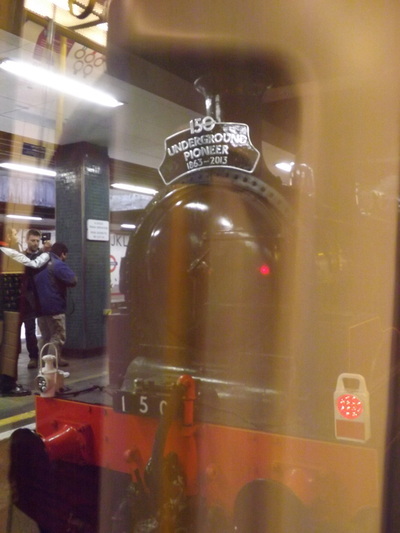 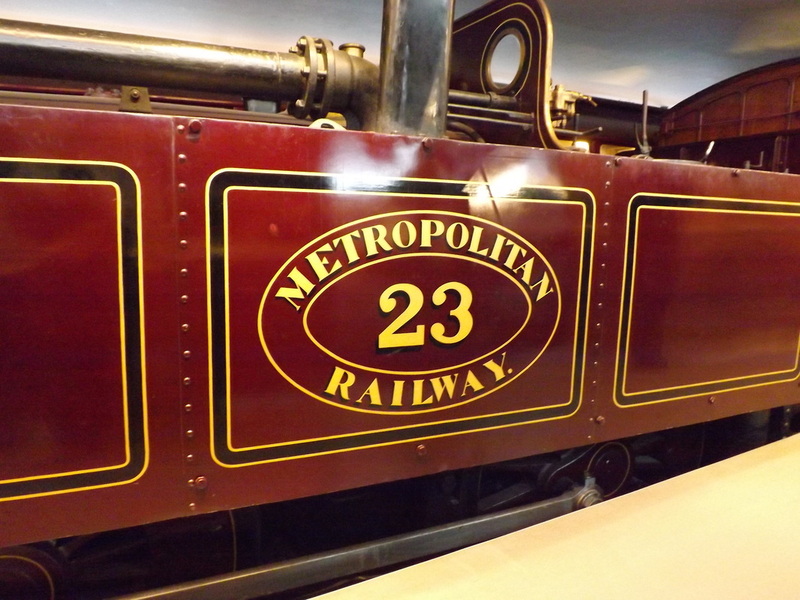 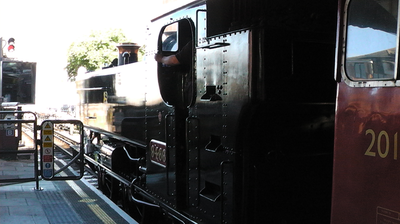 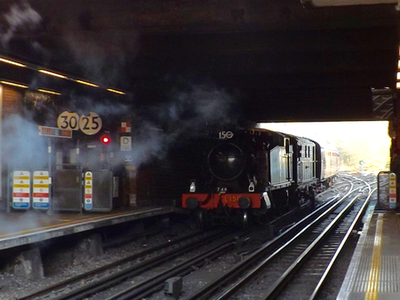 2013 was the 150th Anniversary of the Metropolitan Railway and the London Underground rail network. 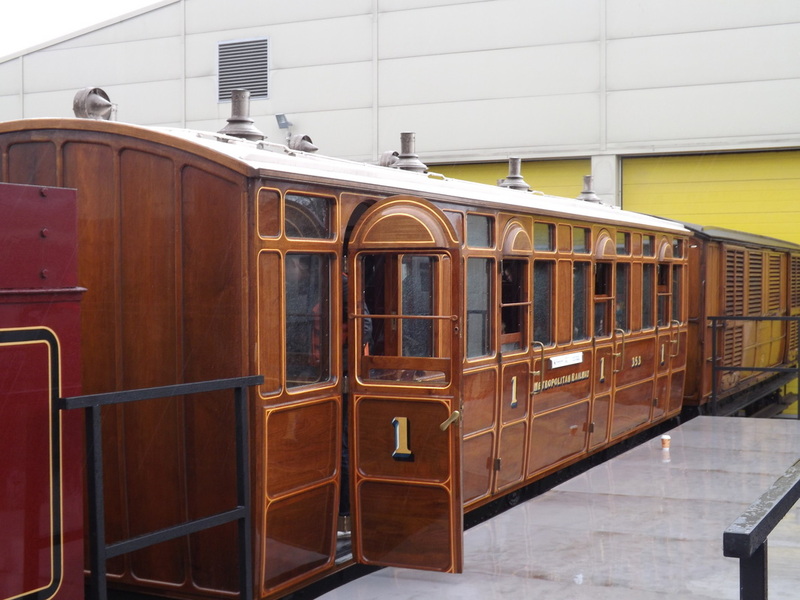 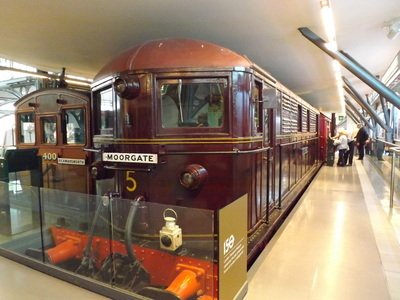 The Anniversary Specials ran over two weekends from Kensington Olympia to Moorgate with shuttles from Moorgate to Edgware Road. 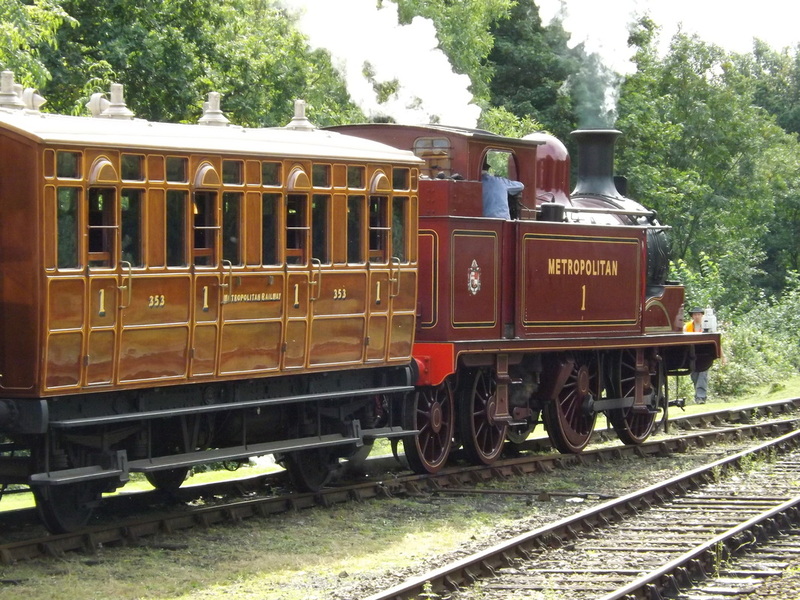 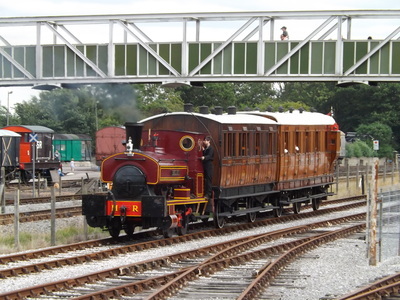 Met No.1 was paired with newly restored Met Coach 353, restored at Boston Lodge, Porthmadog, the Bluebell Railways Chesham Rake of carriage and a LTM Milk Van. 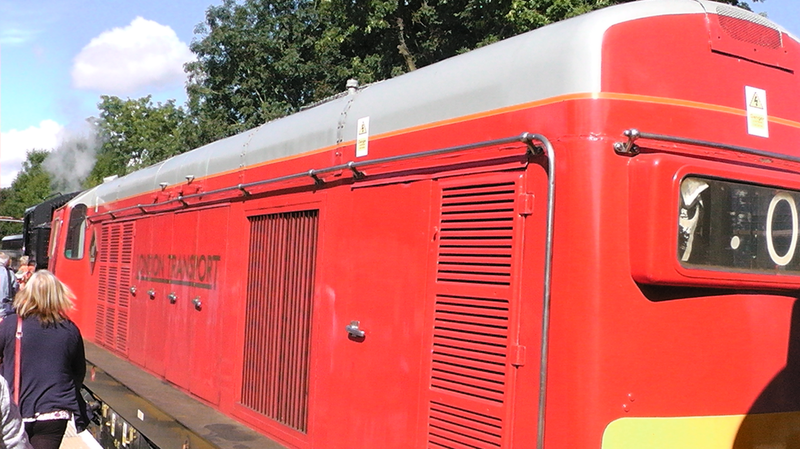 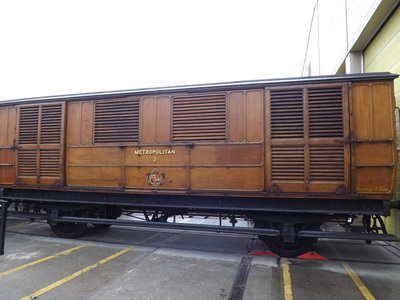 The complete Met train was completed with electric locomotive Sarah Siddons top 'n' tailing the runs. London Transport Acton Depot is opened to the public a couple of times a year. 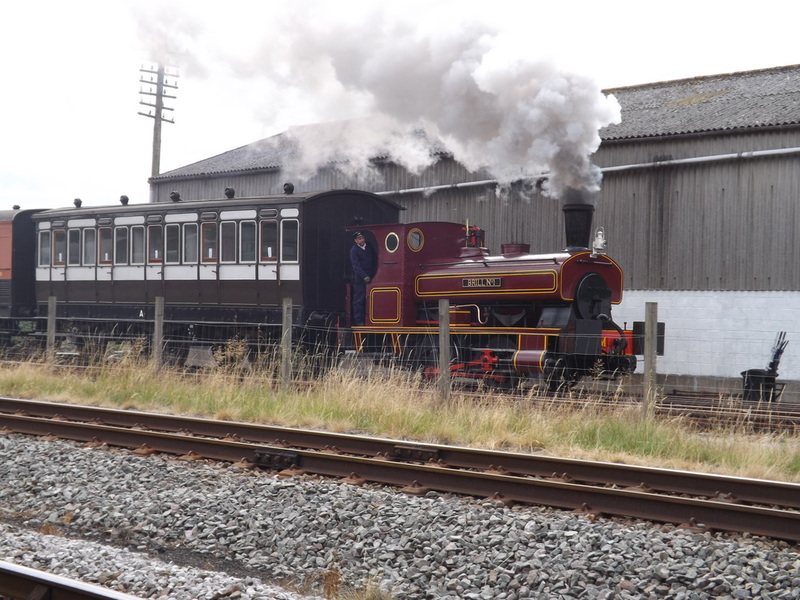 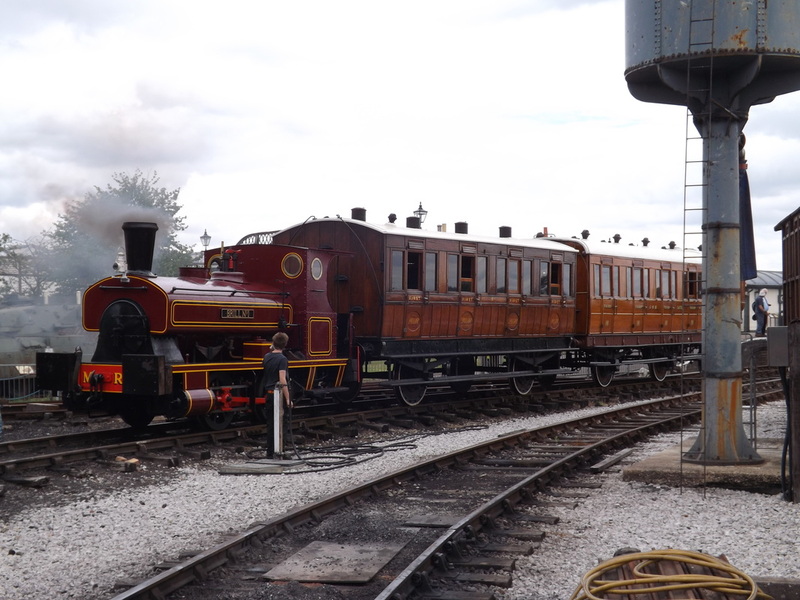 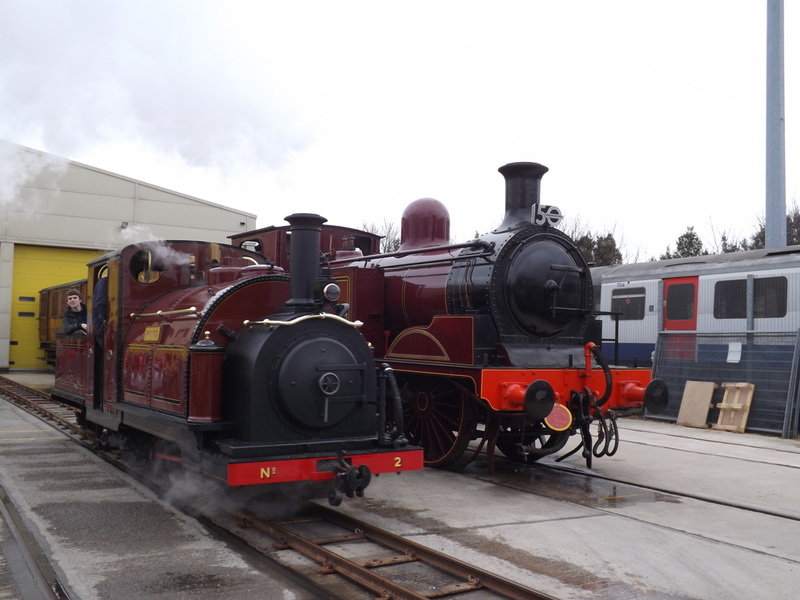 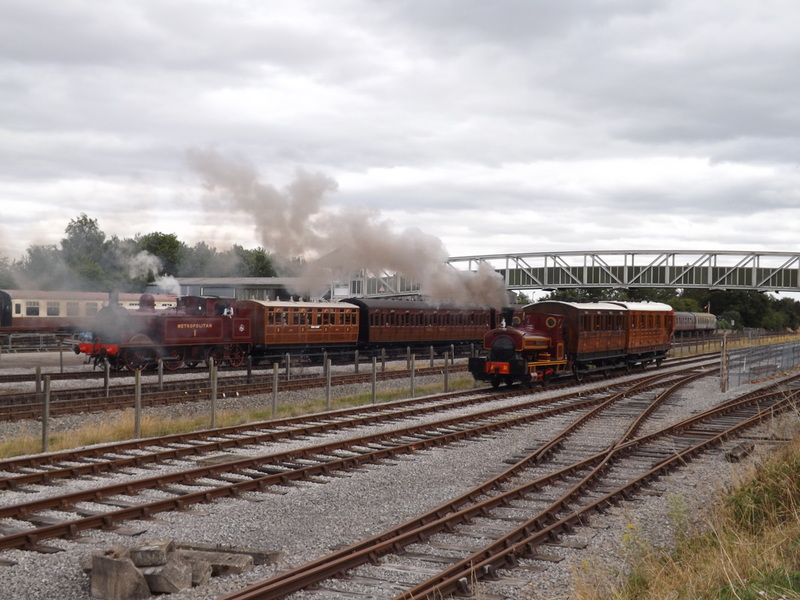 As part of Underground 150 celebrations it held a bigger than normal event with Ffestiniog Railway who restored carriage 353 and was celebrating 150 years of steam also, sent over fresh from overhaul Prince and a set of track offering cab rides. 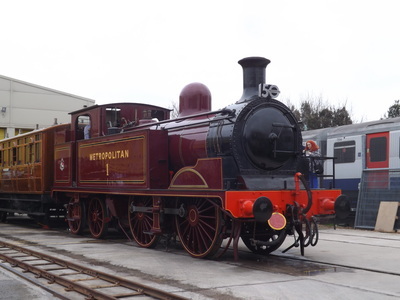 Met No. 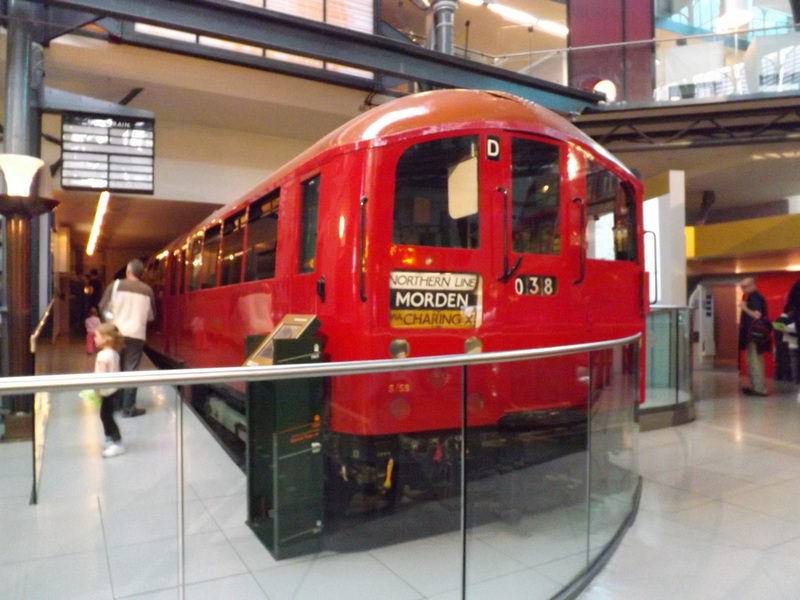 1, 353 and the Milk Van were on display outside and the event was a great way to look deeper into the collection of the London Transport Museum. 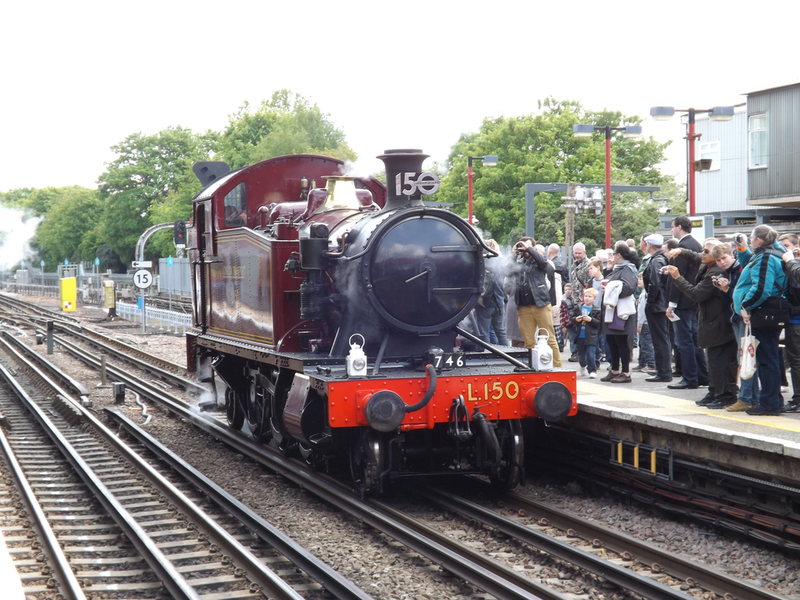 Steam on the Met original ran in 1989 to celebrate 100 years of the Chesham branch, similar events ran through the 1990s and the early 00s, but after a prolonged break steam was back on the Met in 2013 as part of the London Underground 150 celebrations. 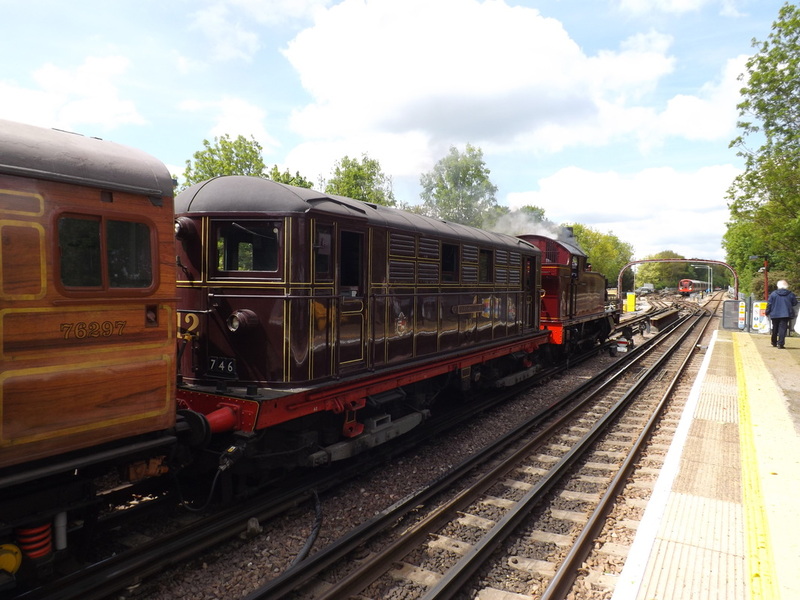 A trio of locomotives was used in the form of Met No.1, Prairie 5521 which was turned on in London Transport livery as L150 and Met 1's Quainton Road shed mate Pannier 9466. 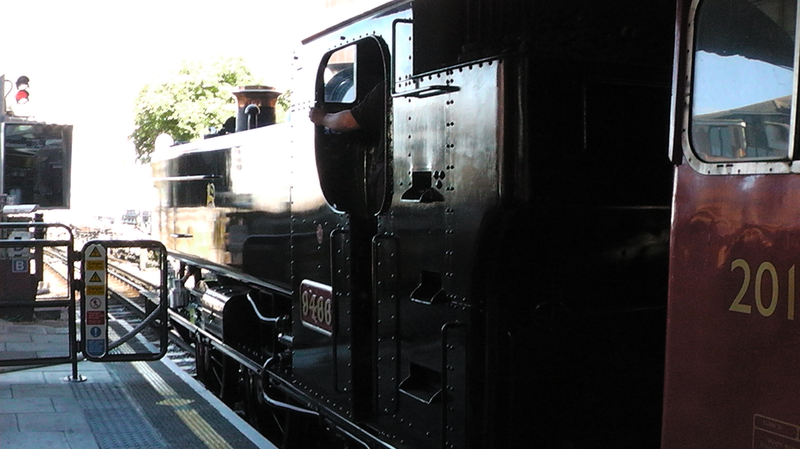 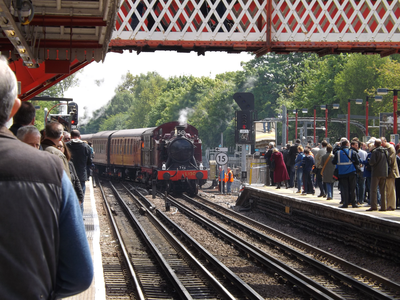 I managed a trip behind 9466 from Wembley to Amersham during the September events hauled by 9466 (with a fair bit of assistance from the Class 20 on the rear), in the beautifully restored First Class No. 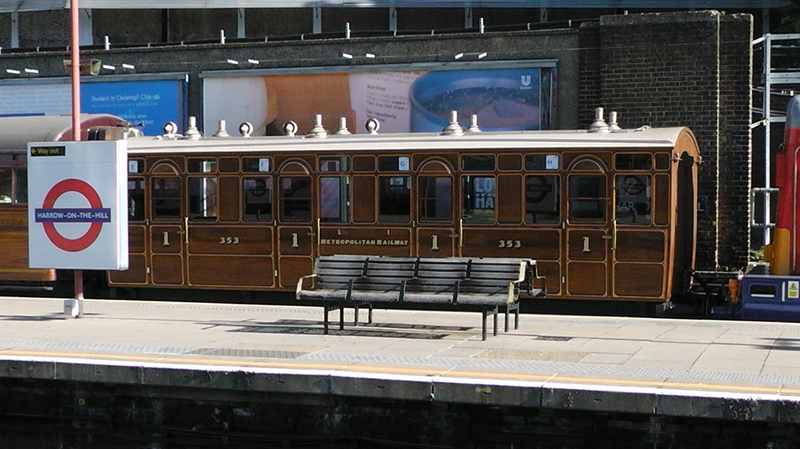 353 carriage. 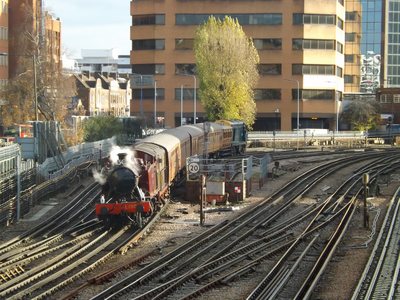 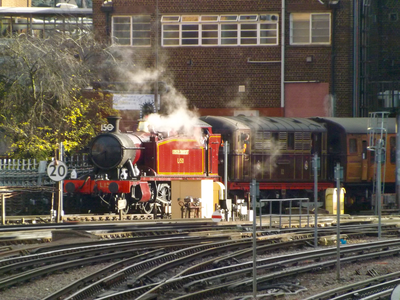 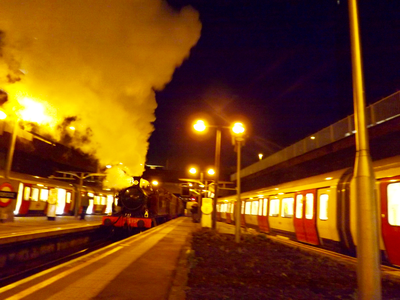 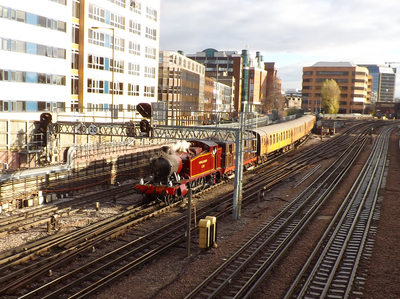 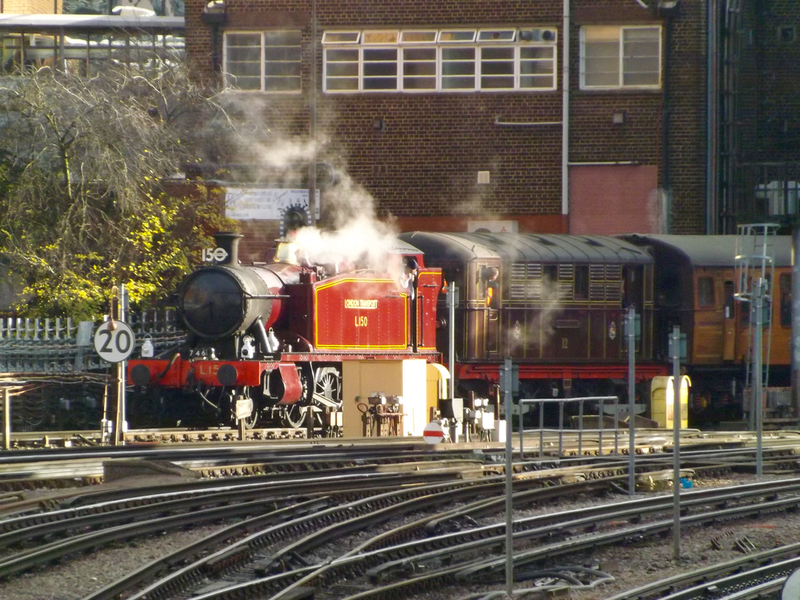 While Summer trips ran to Amersham from Harrow-on-the-Hill, the December trips ran through to Uxbridge, with 5521 as the locomotive for the trips following issues with Met No.1. 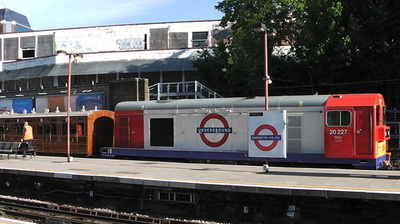 Special Events took place on further flung reaches of the former London Underground Network. 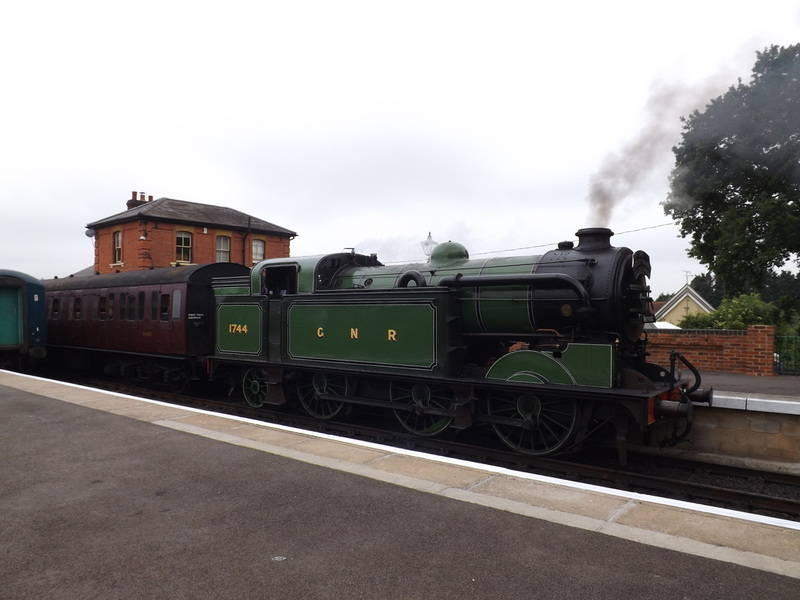 The Epping Ongar Railway's Steam Gala took a Met 150 theme with L150 and Met No.1 as the star guests, with N2 1744 and 4141 adding a suburban London feel. 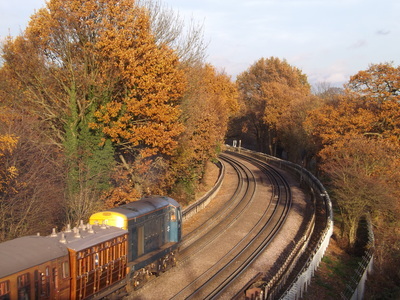 Quainton Road in Buckinghamshire, home to the Buckinghamshire Railway Centre, was a former junction on the Metropolitan line with the branch to Brill breaking off here. The centre is home to Met No. 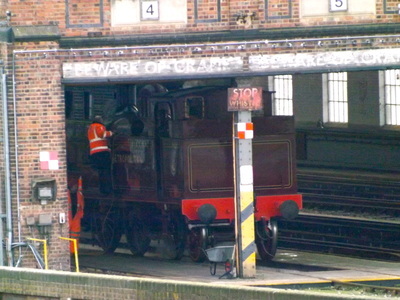 1 normally. 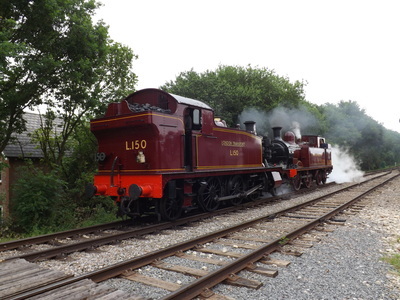 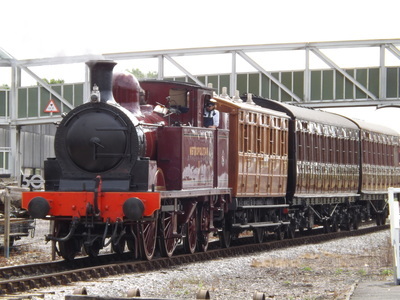 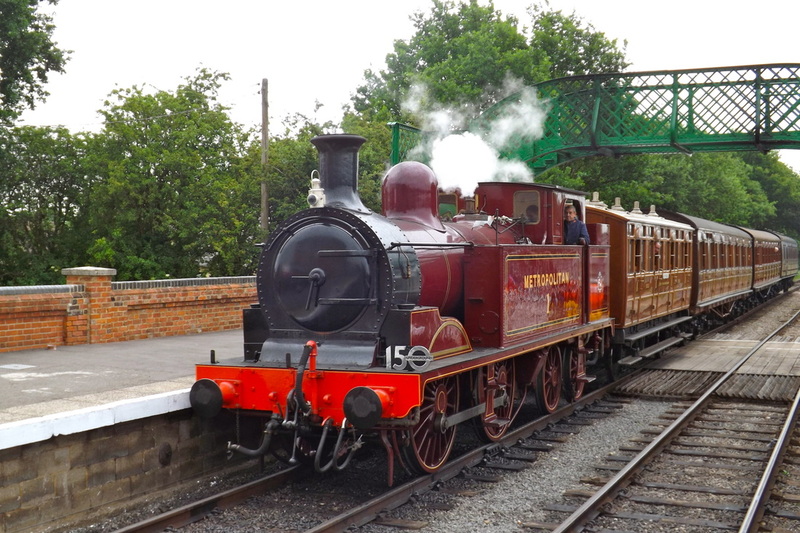 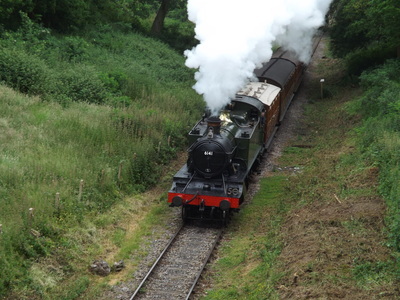 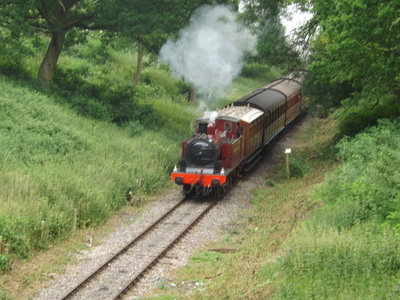 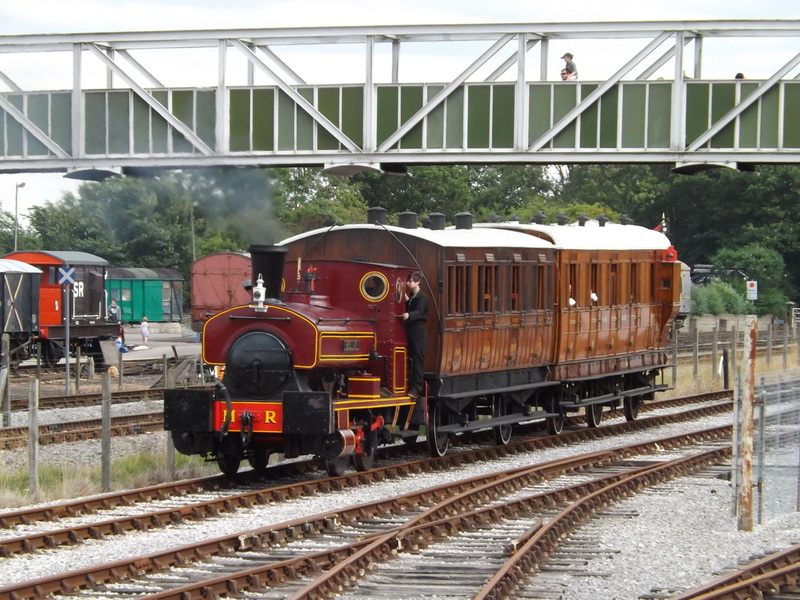 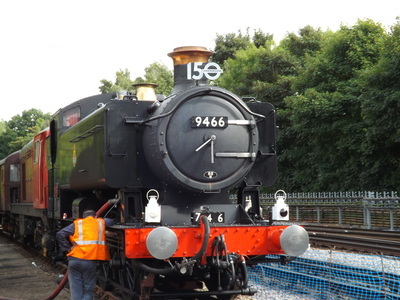 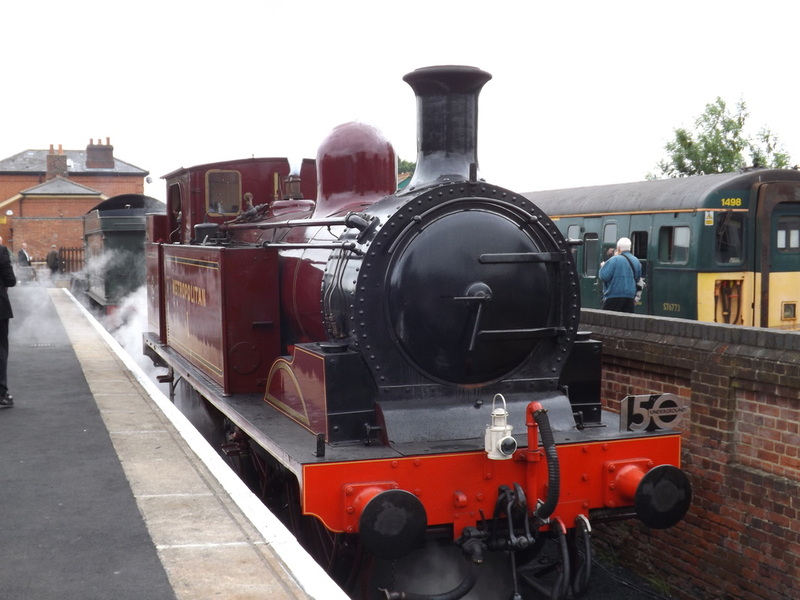 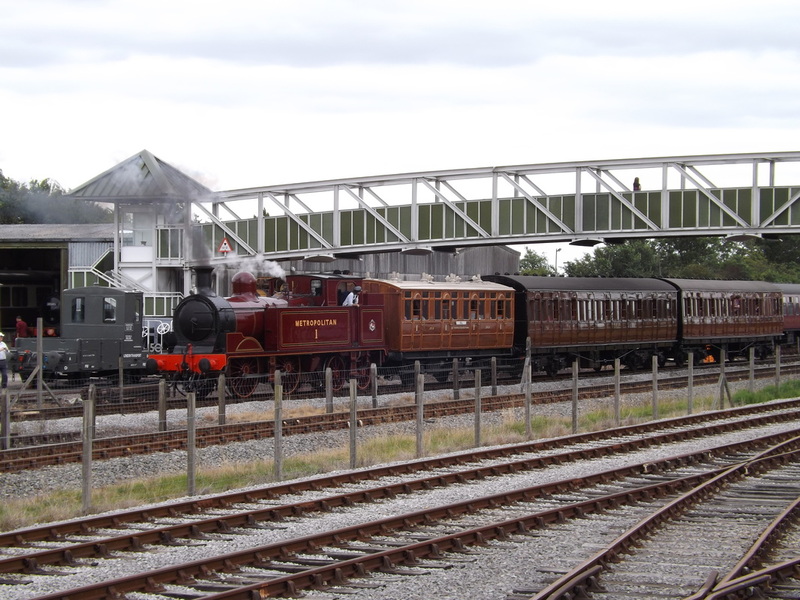 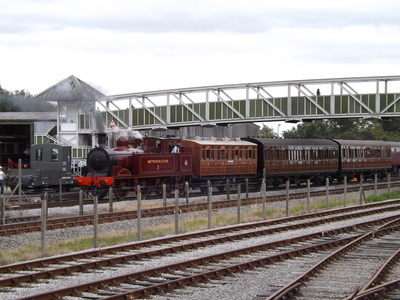 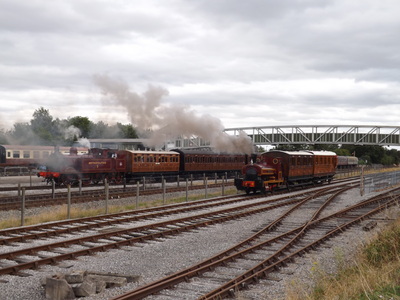 Their summer Met 150 event was a resounding success with a recreation of former Brill branch trains. 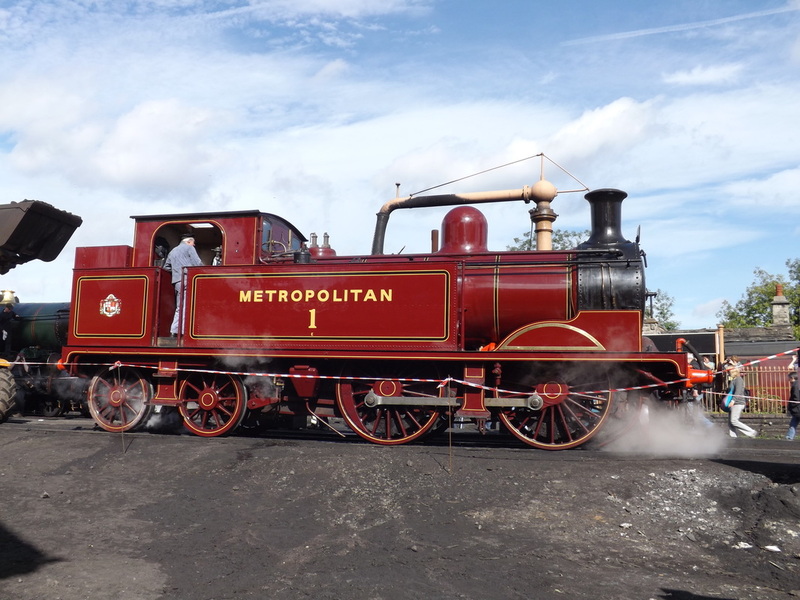 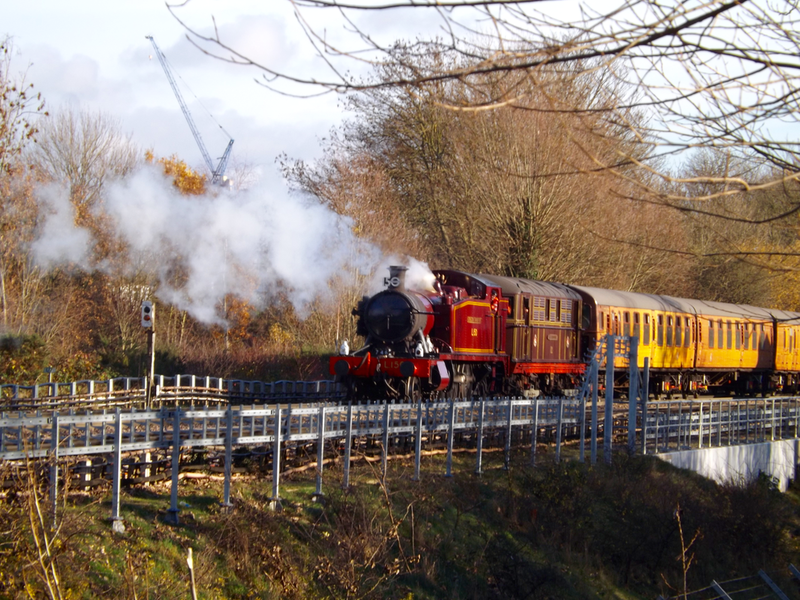 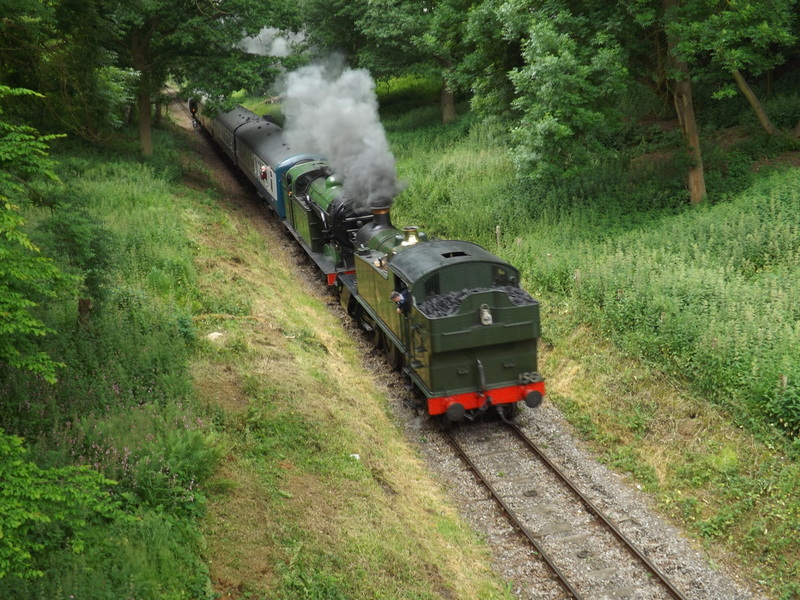 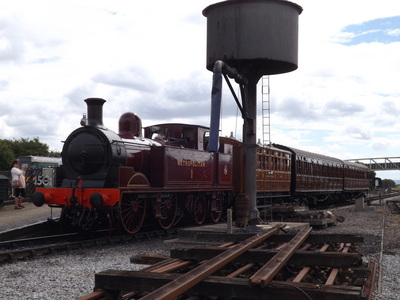 Met No.1 went on further travels throughout the year including to the Severn Valley's Autumn Steam Gala, with coach 353 in tow and operated Bridgnorth to Hampton Loade shuttles during the weekend.